For the third year in a row, TKB is participating in Harold Washington College’s Aon Scholars Program, which matches outstanding community college students with Chicago firms affiliated with Goldman Sachs 10,000 Small Businesses. 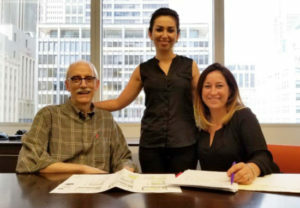 This summer, TKB welcomed accounting student Maryam Hajipour. Maryam’s enthusiasm for learning and hard work bode well for a successful future career!